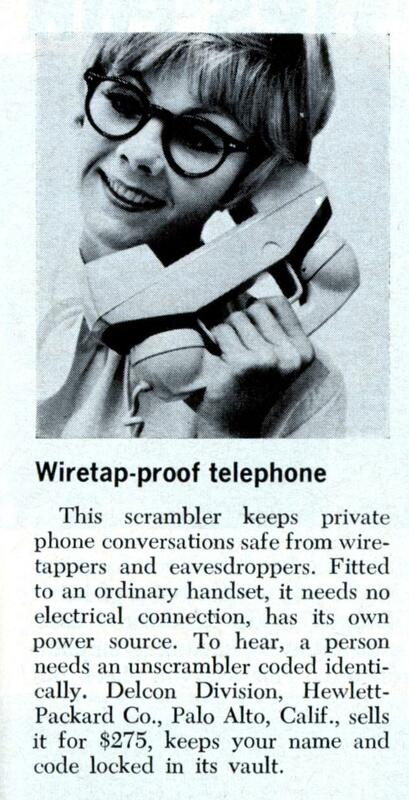 This scrambler keeps private phone conversations safe from wiretappers and eavesdroppers. Fitted to an ordinary handset, it needs no electrical connection, has its own power source. To hear, a person needs an unscrambler coded identically. Delcon Division, Hewlett-Packard Co., Palo Alto, Calif., sells it for $275, keeps your name and code locked in its vault. If that woman was wearing any more makeup she wouldn’t be able to open her eyes. It would be better if you could select the code yourself. 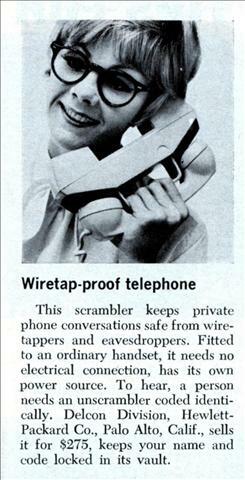 I wonder if something like this old technology would be old enough to confuse modern technology that tried to decode it. I guess this was just frequency inversion back then. Nothing special, I have a radio that decodes it as a flip of a switch. Frequency inversion scrambler with fixed inversion point. Strictly speaking not an encryption system. Some people can unscramble inverted speech with their ears. Gee. 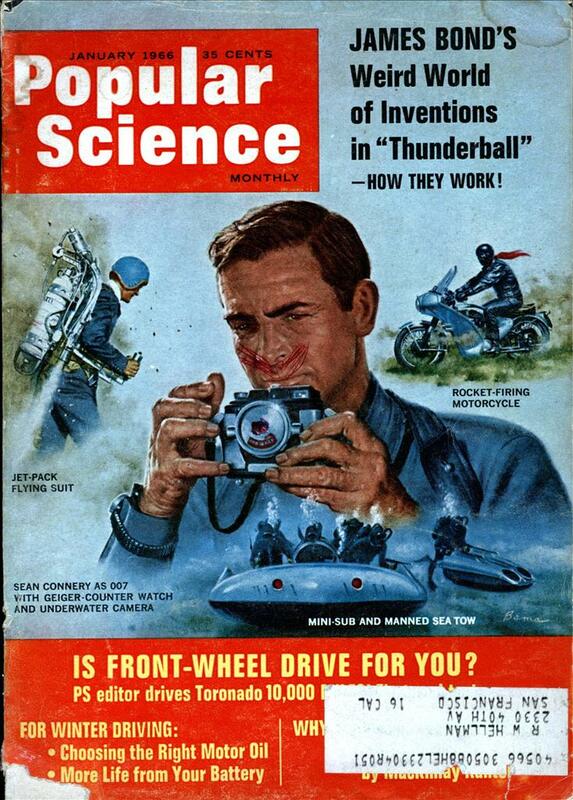 I’d like to see what the prototype looked like.